Sport Bowl carries bowling bags from the top manufacturers in the game. You’ll find a bag to meet your exact needs in our Pro Shop — whether you have one ball or ten! We carry Storm bowling bags in a variety of shapes and sizes from 6-ball bags to single-ball totes. We carry Roto Grip bowling bags. See Roto Grip’s complete selection on their website. We carry KR Strikeforce bowling bags from single totes to 6-ball rolling carriers. KR has a bag to match every bowler’s arsenal. We carry carry Hammer bowling bags. See Hammer’s complete selection on their website. We carry Ebonite bowling bags in a variety of shapes and sizes. 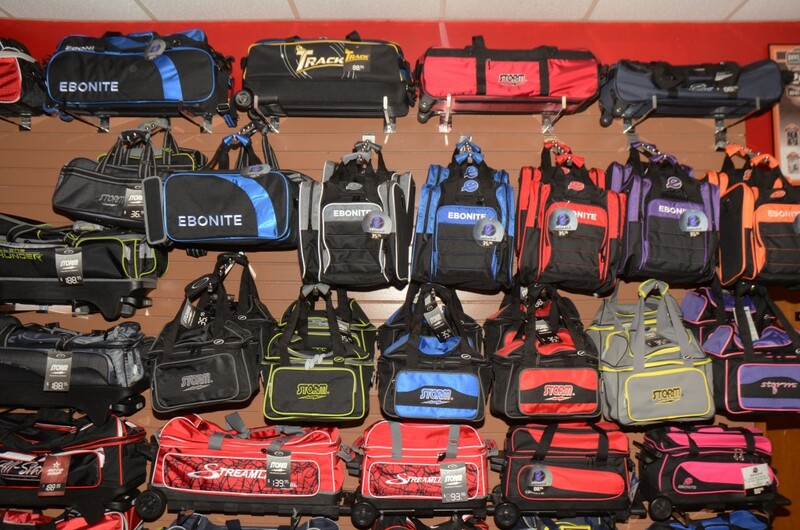 Ebonite has a variety of bags to accommodate all bowlers from advanced to the newbie.